Tip & tails is the name of a chute in Wolverine cirque, a prominent feature in the Wasatch range. It’s also the primary concern of skiers trying to fix skins to their skis. 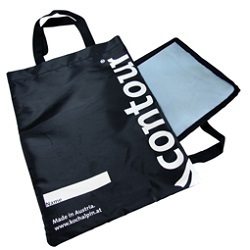 Contour makes several such kits that could be just what you need to skin to the top of the chute. 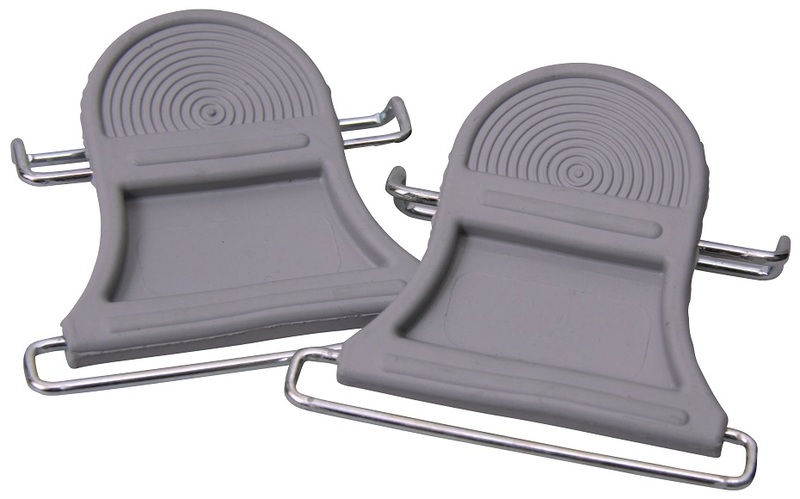 Vario Front Clips – Tip attachment system that accepts various wire buckles, notch, and hole adapters. Minimum buckle width is 75mm. 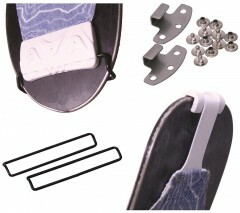 Vario Buckles – 50, 65, 75, 85, 95, 105, or 115mm square-wire brackets that slide over ski tips. Snap into the Vario Front Clips for a swappable system. Vario Z-Wire – Wire clip adapter for the Vario Front Clip that fits in K2/Fischer-style tip holes. 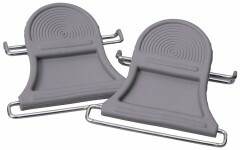 Folding Clips – 75-115mm clips that secure metal bracket tips and reinforce the folded skin. Rubber Top Fix – Elastic rubber tips for use with fixed tail hooks. 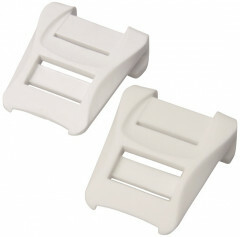 Velcro Tip Buckles - Replacement Velcro tip buckles for the Contour Easy skins. 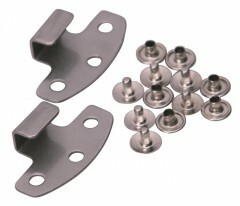 Adjustable Tailclip Set – Adjustable strap & clip set with the rivets to hammer them on.  Tail Clips – Replacement tail clips for the Adjustable Tailclip set. Slim Tail Clips - A thinner version of the Tail Clip that works bettern in skis with skinnier notches in the tail. Tail Hook Set – Two simple metal clips and the rivets to attach them. Shark Tail Hooks – Simple metal tail clips that can be attached by hammering teeth together. Glue Tube – 75 milliliters of Contour’s finest spreadable stick-‘em. Skin Cutter – Basic "letter opener" style skin cutter with a bonus ruler. Carry Bag – Simple Polyester bag to store skin, featuring nylon webbing handles and a spot for your name. Microfiber Stuff Sack - Storage sack for your skins that includes an microfiber cloth on one side that offers an easy way to wipe off your ski bases before re-applying skins for a second lap. Protective Mesh – 120mm or 140mm wide skin-savers. Also called skin-pro or cheat sheets, the mesh protects your glue during storage. 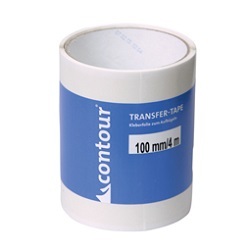 Transfer Tape 125mm - The easiest way to revamp your Contour glue. Just iron on, peel away, and watch them fly. Or stick. How well do the velcro tip attachments work across skins? Do they only stick to the hair side? I can't imagine velcro sticking to the glue side? Hi Brian, these are just the prickly Velcro side, with tip buckles. 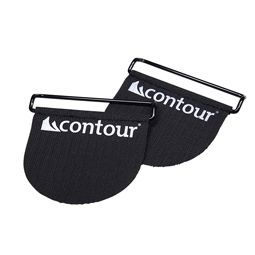 They require the fuzzy side to be already sewn on the skin, like on the Easy kits from Contour. Hey Kevin! Yeah, standard or narrow will work just fine. They're designed for their proprietary rubber straps though, are you using other straps for these tail clips? The Contour straps are much thinner than Black Diamond or Pomoca straps, so if you are using any other skins than Contour, it's definitely recommended to use the same tail clips that came with your skins. 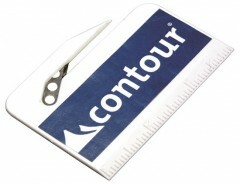 Which side of the skin do the contour tail hooks attach? In other words, is the metal attachment piece on the glue side or the fiber side? Thanks. Hey Gregg, doesn't really matter too much, it'll work either way. I prefer to attach them on the glue side. It helps the skin peel off the tail a bit better and if the tail of your ski is pretty thick then attaching them on the glue wide will give you more height within the clip to work with. Sorry for the long answer. Short answer: glue side! Are the adjustable tail straps stretchy? Hey Joe, yeah they have a bit of stretch to them, but not much. A 3.5mm hole punch works well for punching the holes for the riveted tail hooks. You can likely find a revolving leather hole punch (revolving through multiple sizes) at your local big box hardware store. I have some K2 skis and would like to use the holes in them to attach my skins. If I understand correctly, the vario front clip with the hole adapter will be the equivalent of the tip attachment that are on the skins that K2 sells? Do you also sell an equivalent to the tail clip that are on the K2 skins? if so, which one is it? Hi Martin, yes the hole adapter is designed to work in the K2 tip holes. The tail clips are the same as the Sportiva ones. I ordered some 50mm buckles and the front clips, they don't seem to be compatible. Is there a different front clip that will take the smaller 50mm buckles or should I cut these front clips and rig it to work? Hi Matthew, 65mm is the skinniest supported by the Vario Frontclips. The 50s can be used by folding the skin over the bracket and sewing or riveting to itself. Happy to send you a return label for the clips. I'm interested in the Contour Rubber Top Fix, replacement skin attachment for ski tips. My question regards the size/width of 85mm. Is that the width of the skin? 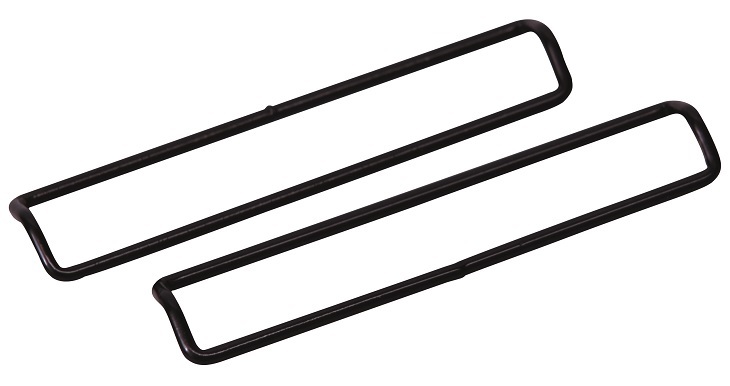 Or, is that the width of the metal loop that attaches to the tip of the ski? Please advise. Hi Wil, that is the width of the metal bracket that attaches to the ski tip.